Today being Ben’s birthday and the start of March Madness motivates me to post a couple of pictures of my son back in the days we lived in Durham, North Carolina, and Paul worked for Duke University—thus beginning our family’s undying loyalty to the Duke Blue Devils. 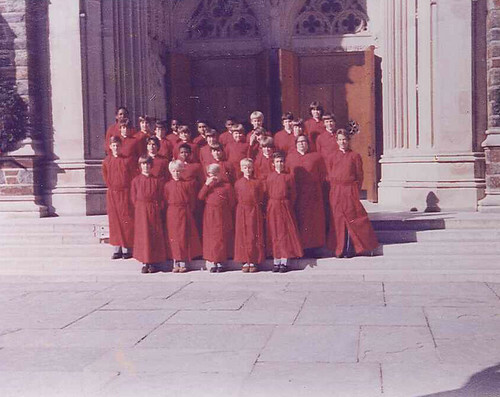 This is the Durham Boys Choir posing in front of Duke Chapel prior to their annual concert. Let’s just say that any group of singers will sound good in that acoustic hall. 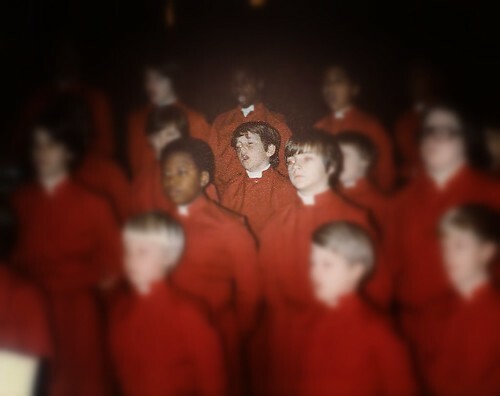 Here’s my boy singing his little heart out. It was Christmastime and both sets of grandparents joined us from the North and the South for this memorable event. We are diehard Duke fans, but I might have chosen Kentucky to take top billing on one of my March Madness brackets. But you won’t tell my family, will you?